At times, it may grow so dark at a campsite or along the path that a backpacker needs to shed a little light by way of a reliable flashlight with fresh batteries. Catechists, too, recognize that sometimes, the spiritual path becomes murky and difficult to discern. Luckily, we have reliable sources of light—Mary and the saints—who brighten the path to Jesus and make it visible so we don’t stumble or lose our way. Of all the models that we can look to, however, none stands taller than Mary, the Mother of Jesus and our Mother too. It’s interesting to note that in artworks, Mary is often shown holding up the child Jesus as if presenting him to bless us. This is what we are called to do as catechists: present Jesus to the world. We can perform this basic task in many ways. Here are a few of them. Say Yes. 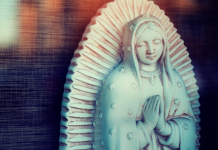 When we were asked to be a catechist, our reaction was probably similar to Mary’s: We may have asked, “How can this be?” Like Mary, we may have been perplexed by such a challenge. And, like Mary, we may also have responded “yes” in spite of our wonderment. 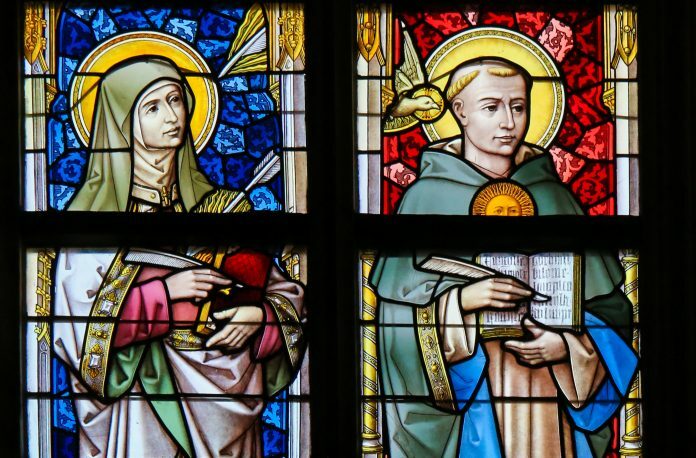 God responds to the humility of her “yes” and to ours by giving us what we need to complete the task: God does not call the qualified, but qualifies the called. Like Mary, we can continually strive to say “yes” to God’s call to embody his Son, Jesus, and to bring him to others. Show Your Missionary Zeal. As soon as Mary found out that she was called to be the Mother of Jesus, she leapt into action. In Luke 1:38, the angel departs from her, and in the very next verse she sets out to visit her cousin Elizabeth “with haste”! We can imitate Mary by showing our missionary zeal—by moving eagerly into action to bring the good news of Jesus to others. We can stir the life that is within them as Mary’s greeting stirred the baby in Elizabeth’s womb. Reflect. Several times in Scripture, we hear that Mary “ponders” things in her heart. We can imitate Mary by being contemplative in a similar manner. When events happen in our lives, we can turn them over and over in our hearts. We can review them to more readily recognize the hand of God in our everyday lives. We can then teach our students to do the same. Introduce Jesus. Among many Christians, especially those of Eastern traditions, the visit of the Magi, Jesus’ baptism in the Jordan, and the wedding feast at Cana are seen as a threefold “epiphany,” or revealing. Mary is intimately involved in two of these three events. As catechists, we can imitate Mary by making sure that our catechesis is always an “epiphany”—a revealing of Jesus’ true identity. We can also imitate Mary by urging those we teach to do what Jesus asks. Be present to your students. In all the Gospels, Mary is at the foot of the cross at the moment of Jesus’ death. She is part of what is known as the “Little Company of Mary”—the small band of faithful disciples who stood nearby throughout Jesus’ suffering and death. We can imitate Mary by being present to the suffering in the lives of those we teach and in the community around us. Be open to the Holy Spirit. Because Mary paid close attention to the promptings of the Holy Spirit throughout her life, we can trust that on the day of Pentecost she, along with the disciples, was filled with the outpouring of the Holy Spirit and sent forth to proclaim the good news. We can imitate Mary by being Spirit-filled—by praying for the gifts and fruits of the Holy Spirit so that we may effectively proclaim Jesus’ Word. Sign of Hope. Finally, we can look to Mary’s Assumption as a sign of hope. When Mary’s time on earth was completed, she was assumed body and soul into heaven—a precursor, so to speak, of the resurrection of the body that we all look forward to. Our ministry, as catechists, is grounded in hope. Mary’s Assumption is a sign of hope, an invitation to wait with confidence for that day when we shall see God face-to-face, united body and soul with him for all eternity. 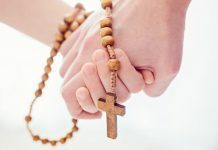 The spirituality of catechists, like that of every Christian and especially those involved in the apostolate, will be enriched by a deep devotion to the Mother of God (Guide for Catechists, 10). Joe Paprocki, DMin, is the National Consultant for Faith Formation for Loyola Press. 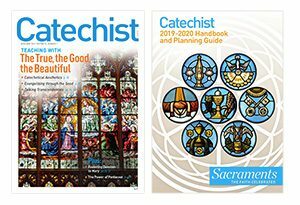 His new book (co-authored with Julianne Stanz), The Catechist’s Backpack: Spiritual Essentials for the Journey, is available from Loyola Press. Activity: Take to heart—memorize with love—the words of Mary’s Magnificat (also known as the Canticle of Mary), found in Luke 1:46–55. Learn two verses each day, and, at various times throughout the day, pray the verses that you’ve learned. By the end of the week, you will know this beautiful prayer by heart. This article was written by the Catechist Staff and appeared in Catechist magazine, February 2015.